Senate wasted no time getting acclimated and started the semester by approving 11 new senators. 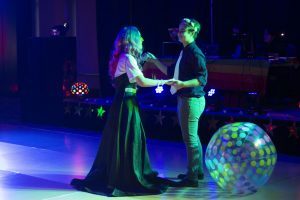 The approval of new members was a major part of the restructuring plan Student Body President Kyle Malinowski proposed as part of his platform while running for student body president last spring. Senate created 14 new senator positions, three of which have yet to be filled. These new positions were added to represent multiple student body organizations on campus such as the academic colleges and athletics department. Seven of the 14 new positions are for student body organizations. Two of those seats are for the Activities Council and the Association of Residence Halls, both of which will permanently remain on senate. The other five seats are open for any student organization on campus that wishes to be represented. Each organization that serves is unable to serve for two consecutive years in order to allow every organization a chance. “I think that the restructuring of senate will be a great way of making sure students who previously did not have a voice on campus to be heard,” said St. James Senator Jon Doremus. 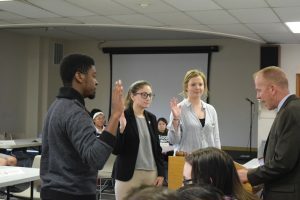 By joining senate mid-way through the year the new slate members are given the benefit of merging with already experienced members who have been on senate since the beginning of the school year Malinowski said. With this strategy, there will always be a group of members serving on senate with one semester of experience. Malinowski said this type of senate organization is referred to as perpetual because it offers the new members the advantage of learning from existing members instead of starting new each year. Chairs are still available for any student who would like to get involved in senate. Senator positions are open for Geisert, Harper/Wyckoff and off-campus. Senate is also looking for students to represent the Fine Arts College and Graduate School. Senate is accepting petitions for any of these open chairs. A petition can be downloaded for Senate’s Web site, bradley.edu/campusorg/senate.com.